the l train is (PARTIALLY) shutting down april 2019. COMMUTES ARE GOING TO BE F*D IN BROOKLYN. So we made a board game about it. The game satirises what kind of hell it’s going to be to get to the big city during the L train renovations. 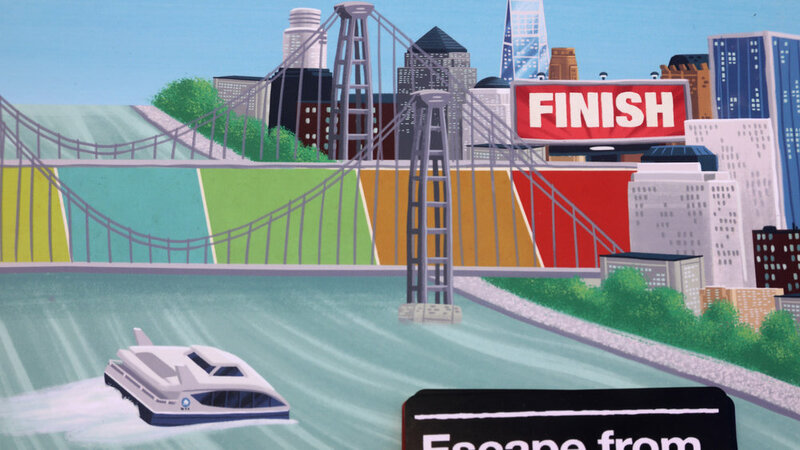 Users follow the path of the L train through twists and turns through Brooklyn until they finally reach Manhattan by Ferry, Shuttle, Bike, Carshare, or any other means possible. Welcome to ESCAPE FROM HELL. 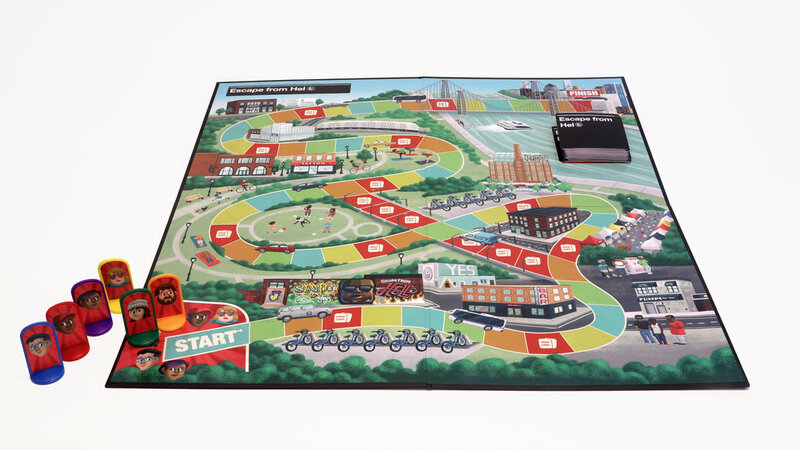 The board game follows typical rules. Roll the dice to see how far your player moves on the path. The first one to make it all the way to Manhattan from Williamsburg/Bushwick wins. But beware, if you land on a “Draw Card” space you have to test your luck and pick a card. Each card you pick up shares a reason why you’re being delayed. Your alternate route ends up taking you to Ikea. Your ex shows up in your Uber Pool. The Ferry is full. There’s gridlock on the Wberg bike lane path. You get the idea. The proposed Alternate Service Plan includes temporary bus, ferry, bicycle, pedestrian and subway service enhancements. 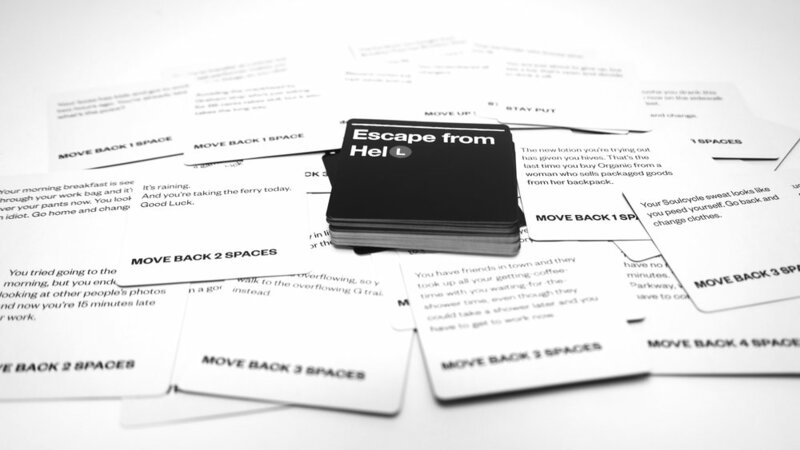 Looks like Escape From Hell just got dealt a twist of our own. While the plans for the shutdown continue to change, rest assured supporters, it's still going to be hell during the 15-20 month L-Train renovation project. to include favorites like: "Cuomo changed his mind again and the shutdown starts two minutes ago. Move back 3 spaces." and "It's 9pm and the next L train arrives in 12 hours. Go back to the start." There's tons of fun to still be had during the impending chaos! We made three times our goal on Kickstarter and were successfully funded. If you want to be on the waitlist for a game, email us on the ABOUT link. The games are shipped and people are enjoying it out in the world! Here are some pics from our premiere party at KCBC brewery in Bushwick, thanks to our friends at Brew N Boards.